UC Cooperative Extension, working closely with the Sonoma County Board of Supervisors, is creating a Sustainable Sonoma Initiative, that uses a multidisciplinary approach to manage working landscape to increase production, diversity and sustainability, through increased ecosystem services. 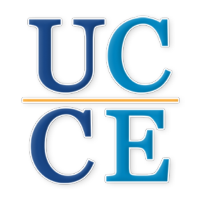 UCCE has applied for a USDA grant to develop a conference on climate change and agriculture. Agriculture can make significant, unique and profound contributions to meet this challenge. It is also important to note that many of the climate-focused measures can also prepare agriculture to better cope with the impacts of climate change and provide additional environmental and health benefits both on and off the farm. Considering agricultural practices as integrated parts of the whole farming system will provide a more complete picture of the opportunities of managing working landscape to increase production, diversity and sustainability, through increased ecosystem services. carbon sequestration, and provide numerous environmental and health co-benefits. There is no “one size fits all” set of best practices for achieving on-farm water use efficiency and reducing dependency on fossil fuel-based energy. Farmers and ranchers were invited to the Sonoma County Adaptation Forum to collaborate with climate change experts to develop a framework that will manage working landscape to increase production, diversity and sustainability through increased ecosystem services. Rangelands, comprising the largest land mass in the western states, provide a variety of ecosystem services, including water capture, carbon sequestration, sediment retention, wildlife habitat, and scenic view (Havstad et al. 2007). These ecosystem services occur on rangelands that are also a source of forage for livestock, which is a leading agricultural commodity and an important source of revenue for local economies. The value of rangelands to a community therefore goes beyond the economic impact of forage production, and also includes the ecosystem services provided by well-managed rangelands. The ecosystem values of rangelands may be particularly high because they provide all four categories of ecosystem services. Rangelands provide regulating services such as carbon sequestration and water purification as well as habitat for pollinators. They also provide provisioning services such as the forage base for cattle production. Rangelands provide supporting services that lead to sustained nutrient cycling and soil formation. Finally, rangelands also provide cultural services through opens space, scenic views, and recreational opportunities. This video highlights a 5th generation livestock producer and the opportunities and challenges she faces to continue this long standing tradition.